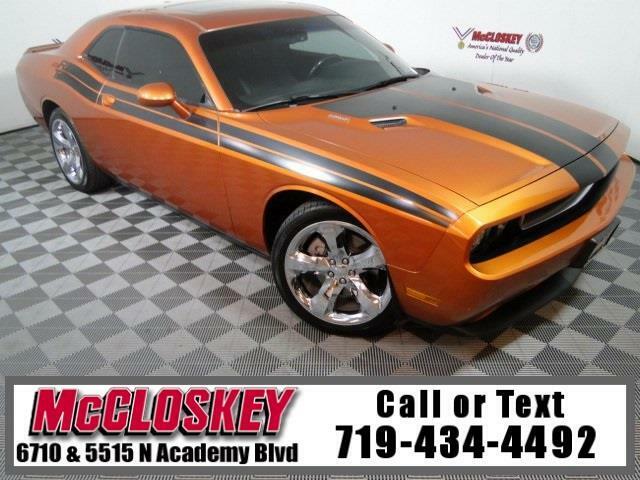 Beastly and beautiful 2011 Dodge Challenger R/T with Keyless Entry, Remote Start, Power Moon Roof, HEMI V8 Engine, Push Button Start, and Premium Sound System! The Challenger R/T gets a 5.7-liter V8 good for 372 hp and 400 lb-ft of torque when connected to the standard five-speed automatic. The Challenger R/T gets a V8 engine, automatic headlamps, foglamps, heated mirrors, the SE's Connectivity Group and all of the SE's Super Sport Group equipment. While all 2011 Dodge Challengers are blessed with a ride quality that's comfortable enough to keep your mom happy when picking her up from the airport. This vehicle passed our 110 multi-point inspection and is backed by our National Quality Dealer of the Year Award. We are an ''A+'' Better Business Bureau Rated Business. We offer low interest rate financing, low down payments and the highest trade allowances in the state! Here at McCloskey we do things a bit differently, we shop our competition every day to ensure a great value to you. Come on down and experience it for yourself. This McCloskey Assured vehicle includes a 2 month/2000 mile Warranty and a Vehicle History Report!! At McCloskey we strive to provide ASSURANCE, TRUST, VALUE AND QUALITY! Call 719-434-4492.